Where can I find free software to create music scores? I’m looking for software to create music score. You had answered a question previously how to insert musical symbols into Word, but I’m really after preparing a proper score. Can you recommend any software for this? I got this question from someone responding to the post about musical characters in Word. There are a number of packages on the market that can help you do this, but most of them can carry quite a hefty price tag. Pizzicato for example, can cost anything between $20 and $500 depending on which version you decide to go for. Finale, an excellent product costs $600. However, there’s also a free version of Finale called Finale Notepad. It doesn’t have the same functionality, but it’s perfect to create your own scores with, and they look excellent when you print them out. Here’s a quick tour showing how it works. You can either dive straight into it, or use the wizard that helps you get on your way even quicker. Step 1 involves giving a title to your composition and specifying what print size the score is going to be. Step 2 is where you specify exactly what instruments your score is for. You can select just one instrument, or different orchestra sections. I told you it’s quite comprehensive. The next step consists of specifying you key signature and time signature for the score. The wizard is pretty simple to use and walks you through all your options. 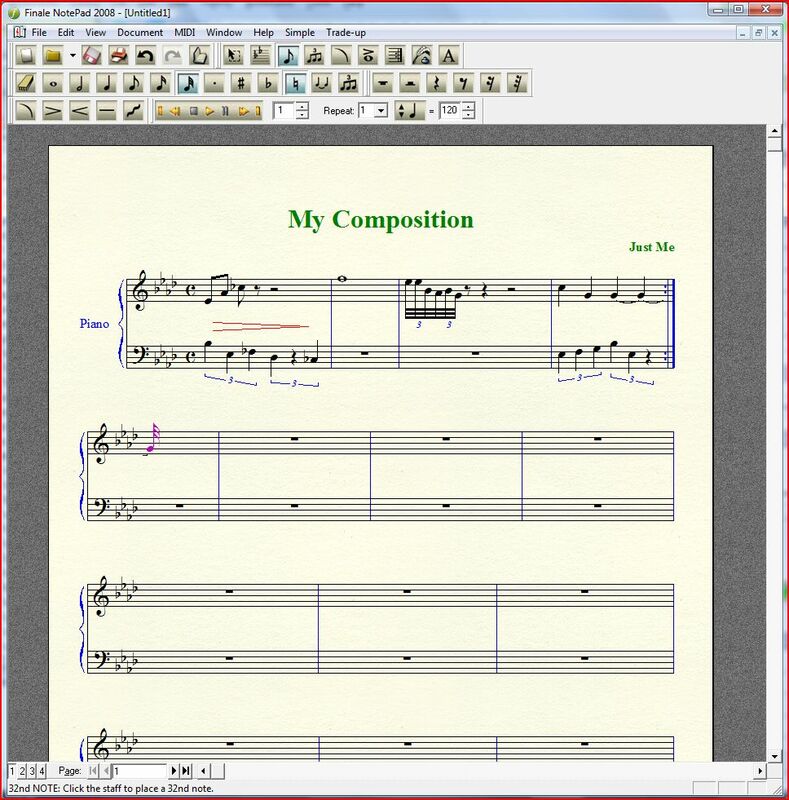 The software then lets you add your own music to the score, and then print it out. There are a number of toolbars that lets you annotate the music, add notes, rests and whatever else you might want to add to it. If you’re into music, just go ahead and download it, load it on your computer or laptop and have a play. ← Previous Previous post: Is cheap web hosting any good? Next → Next post: How do I display RSS headlines from another blog? Just an update…Finale now charges ($9.95 as of the time of this writing) for the above-mentioned software (Notepad). Also, that particular version of the program doesn’t allow one to move from one key to another within the same piece. The next step up in their line (Songwriter) does, and costs around $50 right now.